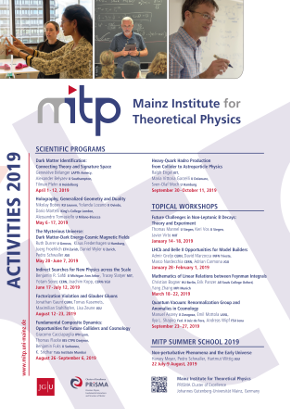 The main tasks of this workshop are (1) the classification of consistent DM models for by DM and mediator quantum numbers, (2) the classification of signatures at colliders, the direct and indirect DM searches, exploring potential of new signatures, (3) establishing connection between theory and signature space, and (4) exploring further complementarity between collider and non-collider searches. Before the beginning of the workshop at MITP, working groups on specific topics will be organized. Each working group will have a main objective, related to the development of Dark Matter (DM) theory, DM signatures, mapping of theory and signature space, exploring various DM observables and complementarity of different experiments. The main objective of the Scientific Program is to encourage and catalyse discussion and collaborations between different communities exploring Dark Matter: model builders, astroparticle physicists, collider phenomenologists and experimentalists working on different aspects of DM models and signatures.